We all crave connection. As humans, it is our innate nature to gather and connect. Our mission and our vision is to empower women, to lean into one another, to listen, learn and rise together. When we share space and allow ourselves and one another to be seen and be heard, powerful things happen. Women are complex and intricate, and we stand in the truth that our differences are worth celebrating. We believe there is no right or wrong way to be, you simply are - all your layers hold divine beauty and strength. We are here to celebrate the diversity in one another and our stories. This is not a workshop to fix, or change, or solve anything about you. (Because guess what - you're freakin wonderful as is.) It is an evening to come together and learn from fellow women. Expect realtalk conversation, self reflection, impactful insights from inspiring women, and to leave with a deeper connection to self and to those around you. 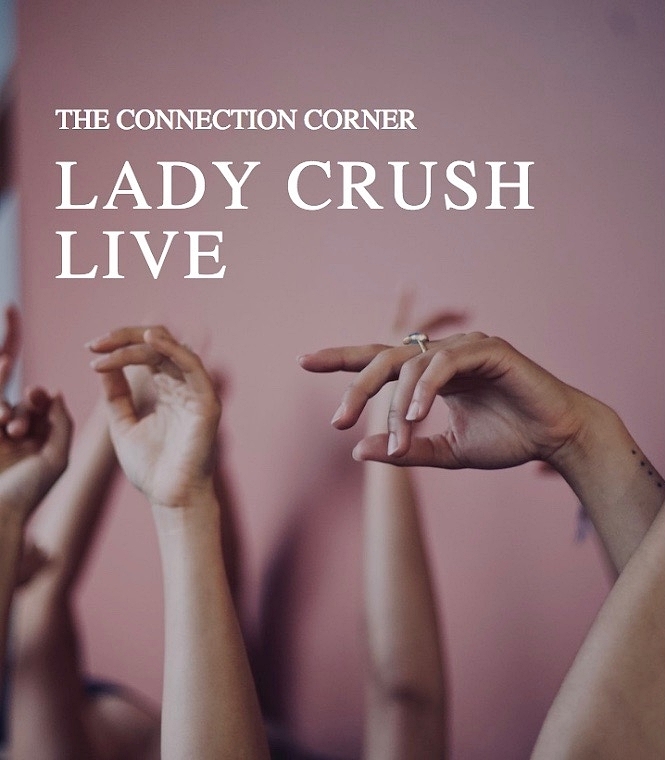 The evening will consist of thoughtful and grounding meditation, live interviews and stories from incredible women #ladycrush, reflective soul prompts, group conversation, joy and laughter, and tools to continue the work of deeply connecting - to self + to those around you. You, your voice, and your unique path matter. Here's your place to rest easy in that. We can't wait to see you there.